HAVE you ever wanted a career that could see you moving up in the world? 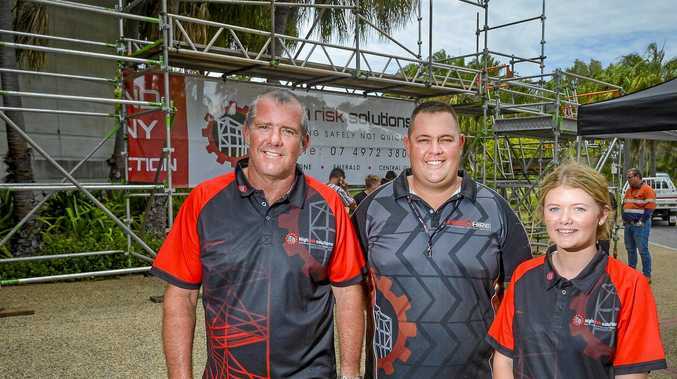 High Risk Solutions Gladstone is holding a scaffolding industry open day at Central Queensland University Marina Campus today. Managing director David Nunn said the event - aimed at ages 16-27 - was all about providing stepping stones. "The whole idea of today is to give people a stepping stone and the resources they need - with Narbil Training, Busy at Work and with us - and giving people an idea," he said. "We're not telling people you can only get a job with us, we're showing people that this is the industry... and this is what you can do. "It's about preparing yourself, being realistic, setting goals and saying 'if I like this industry I'm going to give something to get that'." The open day, which was also held yesterday, is designed for people to speak to industry leaders and training organisations about potential career paths. David said attendees shouldn't feel pressured into making decisions at the event but instead discover possibilities. 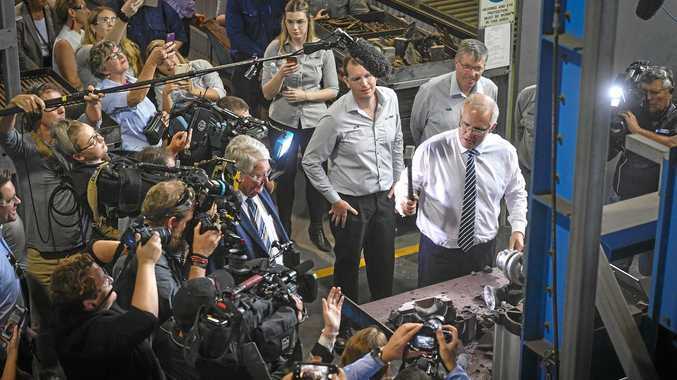 "Come and get the information and if there's something that interests you, come in and have a look," he said. "We're just putting it out on the table, making sure we're giving something back to the community. "We don't want to see more fly-in fly-out when I can train them and teach them here. I'd much rather be doing that." The open day is on from 10am-3pm.